At Rosies’s downtown New York restaurant veterans Marc Meyer, Vicki Freeman, Chris Paraskevaides, and Anna-Marie McCullagh of Cookshop, Hundred Acres and Vic’s, bring their distinct sense of hospitality to one of their favorite cuisines: Mexican. Located on a lively East Village corner, Rosie’s serves up Meyer’s thoughtful approach to the bold, complex flavors of a country he has extensively explored and long admired. Along with chef Angel Andrade (Formerly at Cookshop), Meyer prepares bright, straightforward dishes made using traditional techniques, including grinding fresh masa and cooking on a comal. A pioneer in the New York City restaurant scene for his commitment to sourcing locally,seasonally and sustainably, chef Marc Meyer showcases the season’s bounty through his vibrant, ingredient-driven cuisine at Cookshop, Hundred Acres and Vic's, the restaurants he owns with his wife and partner, Vicki Freeman. In April 2015, Meyer and Freeman opened Rosie’s, where he serves the cuisine which he is most passionate about: Mexican. Meyer began his career in New York in 1980 at The Odeon under celebrated chef Patrick Clark, which laid the groundwork for his culinary philosophy and style. From there, he traveled to Rome and cooked at a 30-seat restaurant where he planned menus around what was available each day at the market. Back in New York City in 1983, legendary chef Larry Forgione tapped Meyer to cook at An American Place where he furthered his interest in ingredient sourcing. Soon thereafter, Meyer secured his first executive chef position at Brasserie Savoy in San Francisco, which allowed him to further refine his commitment to seasonal, ingredient-driven cuisine. 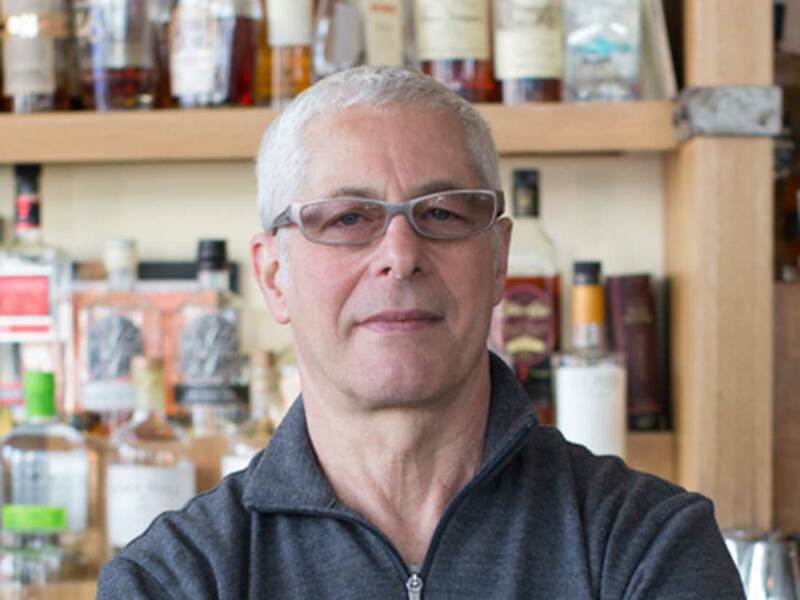 Meyer transitioned to ARK Restaurants working alongside chef Jonathan Waxman as co-executive chefs where he supervised restaurants throughout New York City, Washington, D.C., and Las Vegas. Realizing their dream of owning their own restaurant together, Meyer and Freeman opened Five Points in 1999, which was a NoHo mainstay for 15 years. Following the success of their first venture, the duo opened Cookshop in 2005, presenting clean, inventive dishes in the heart of the bustling Chelsea neighborhood, earning two stars from Frank Bruni at The New York Times. In 2008, they expanded again with Hundred Acres, a charming and intimate SoHo restaurant offering a Southern-inspired menu. In 2015, Meyer and Freeman add Vic’s and Rosie’s, their respective passion projects, to their family of restaurants. Andrade grew up in Tehuacán, Mexico, in the southeastern Puebla state, and spent his childhood watching his mother cook for her seven children every day and visiting the local markets for seasonal fruits and vegetables. 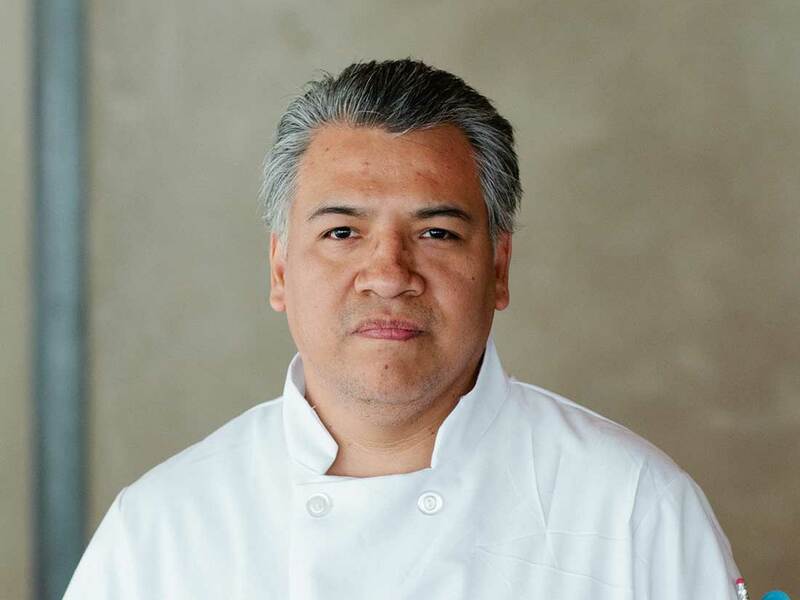 Andrade moved to the U.S. 1990 and with the desire to cook in the city’s top establishments, he enrolled in Peter Klump’s School of Culinary Arts (now Institute of Culinary Education), in 1996. Upon graduation from ICE, Andrade honed his skills in a diverse range of restaurants including Mercer Kitchen, Gustavino’s, Chango and Spice Market. In 2005, Andrade joined the team at Cookshop where he strengthened his commitment to sourcing locally and showcased the season’s bounty through ingredient-driven cuisine. In his current position as chef de cuisine, Andrade showcases the dishes from his childhood with inspiration from his mother and heritage. Andrade aims to highlight traditional preparations including grinding fresh masa, layering flavor in rich stews, cooking on a comal flattop grill and fresh salsas and sauces.